Our brides continue to capitalize on how easy it is to mix and match the Alfred Sung line and we are loving it! 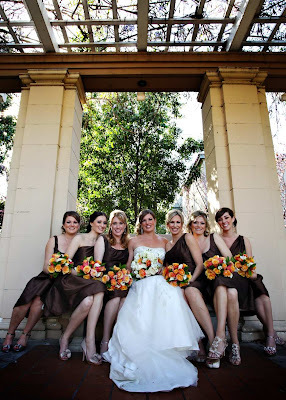 Allowing bridesmaids to choose their own style not only makes them feel special, it also helps each girl to look their best depending on the right fit for her body type. 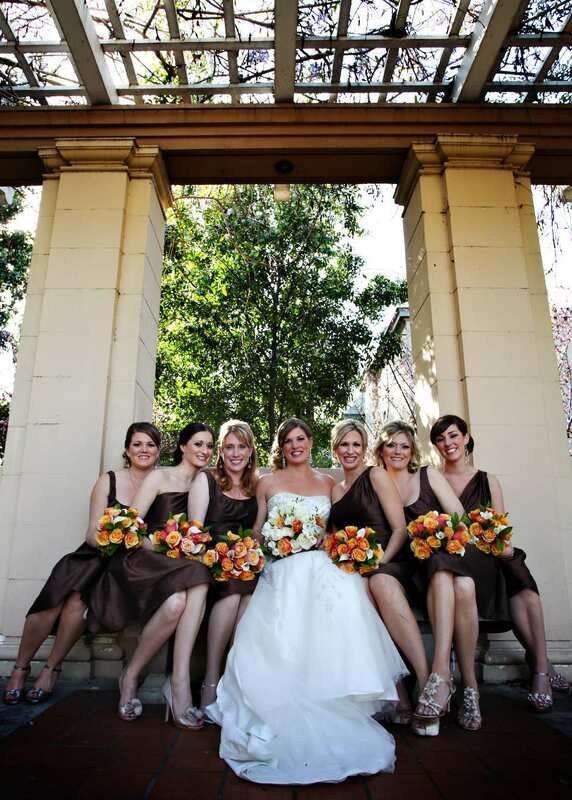 Today we're sharing some wonderful examples from wedding photos recently submitted to us by brides Katie and Teresa. 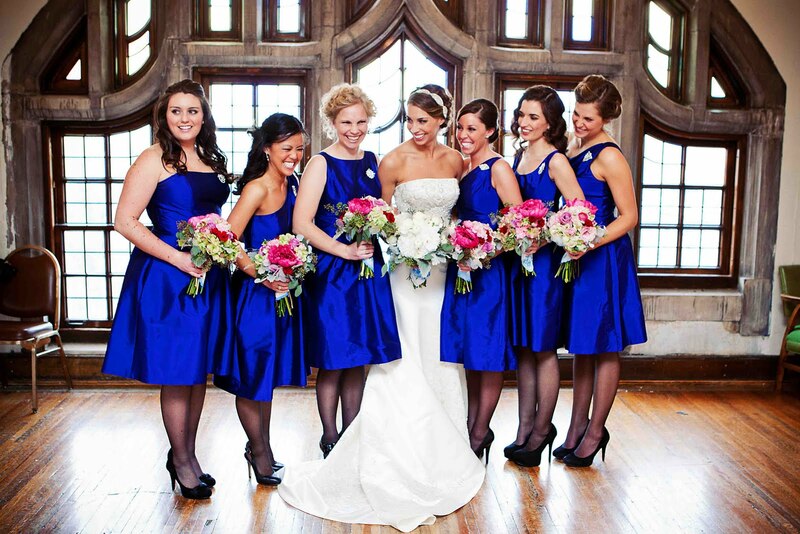 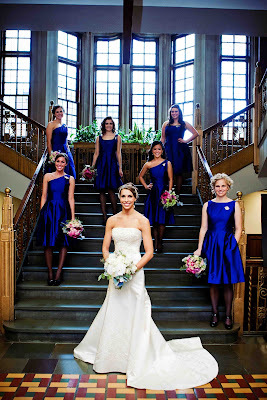 Katie chose a color scheme of blue and pink for her January wedding, a classic combo. The vibrant Electric Blue color really pops from the traditional indoor setting. 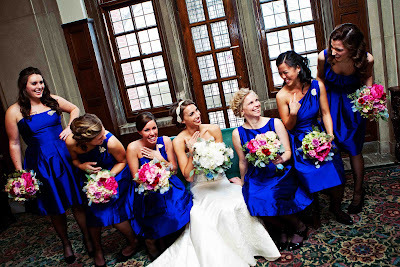 She also personalized the dresses by adding the crystal brooches to the dresses, which plays off her headband and is a fantastic way to tie everything together. Love that the girls are rocking the hands-in-pockets look! 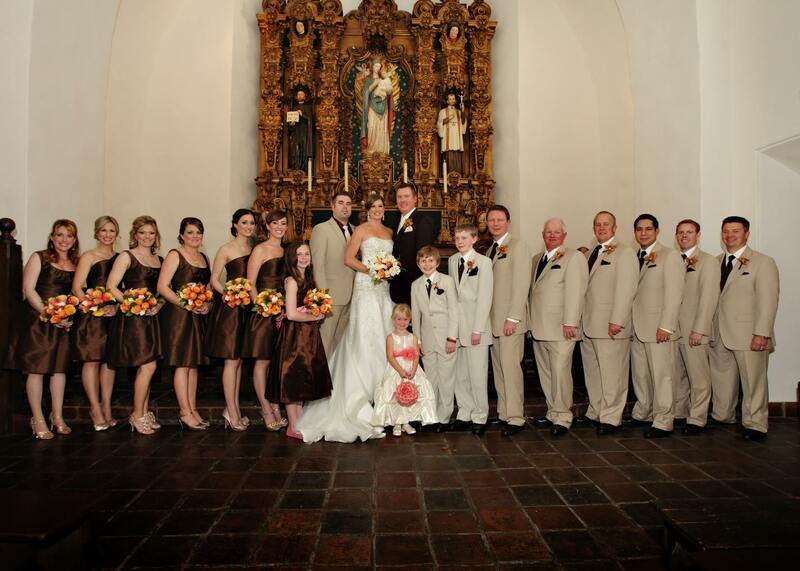 Teresa's wedding was this past March in sunny San Diego. She selected the popular color Brownie in Dupioni fabric with a fiery pink-orange color palette. 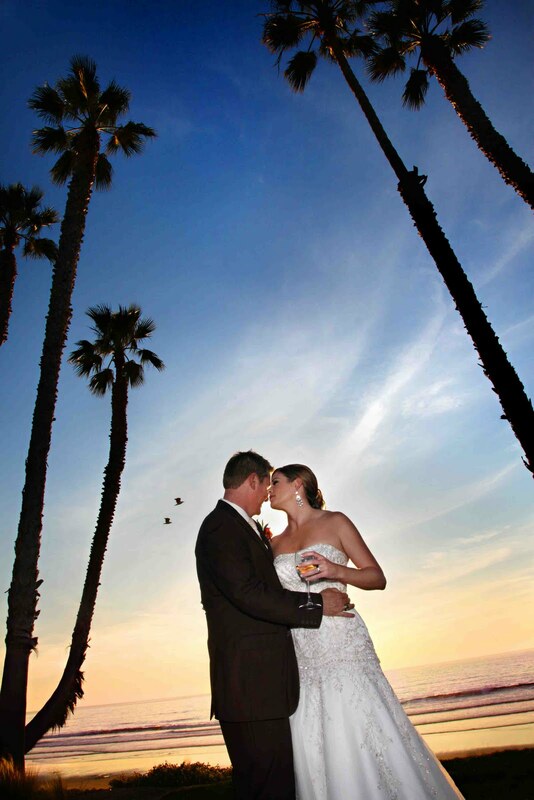 Couldn't resist including a beautiful shot of the blissful bride and groom. It looks like they could be on a tropical island anywhere in the world! 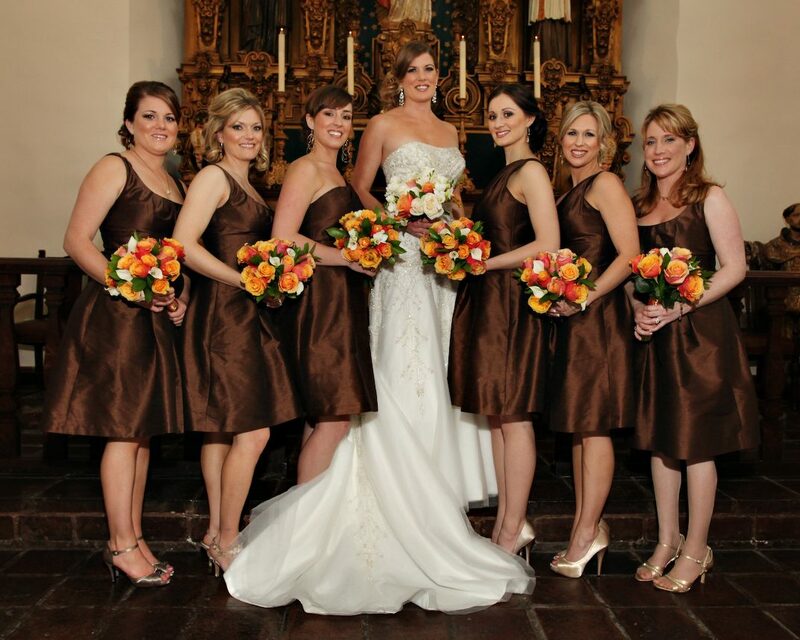 Congrats ladies, and thank you for being such wonderful brides to work with!